Here's my disclosure: I shop at MacMall. I have no ownership or ties to the company. However, I do find it interesting that they're trying so hard to liquidate their inventory of MacBook Air notebooks. At $999, it's still too high for me. Oh, and it's the older model (which has some performance issues related to overheating). 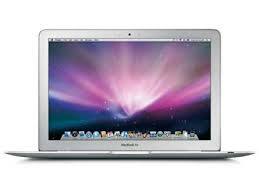 Apple was wise by releasing a 2nd generation MacBook Air that looks identical to the 1st generation models. You can also get refurbished older (and newer) MacBooks at the Apple Outlet. Your disclosure was really worth reading. I was searching for a 2nd generation Mack book by apple and was wondering if I can get a refur in that and your post answered my queries well. Greatly appreciated. Mac book is totally awesome technology. Its style is lush. I think we have to switch from PC to Mac. The MacBook is going to be great in production. The $999 price tag is relatively cheap for a Mac.